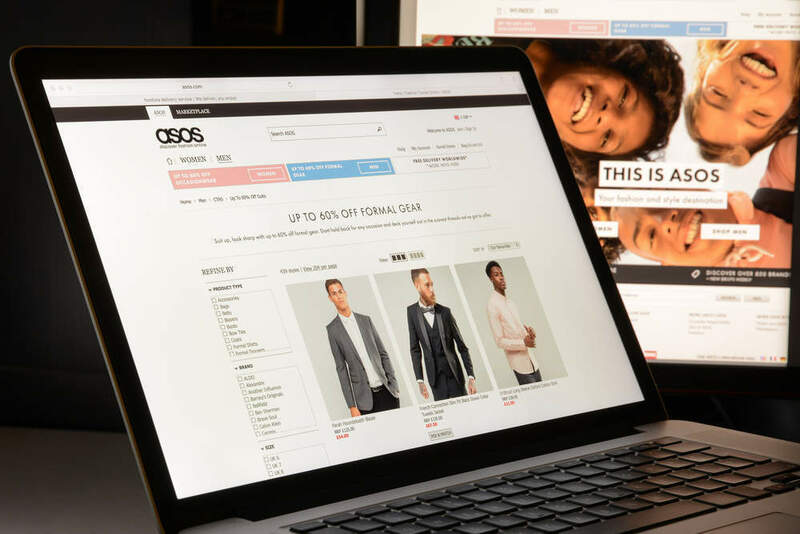 Credit: Heather Shimmin / Shutterstock, Inc.
Just in time for London Fashion Week, the UK’s capital city has reinforced its reputation as the world’s top destination for luxury retail. According to Savills’ recent Global Luxury Retail report, more luxury retailers opened stores in London than any other city in 2016. Out of the 41 new stores opened, 15 were the respective brand’s first ever store in the UK. Who is attending this year’s amfAR gala in Milan? Luxury German brand Philipp Plein opened its first UK flagship on New Bond Street, which is also home to Moncler’s new three-storey premises. London’s West End retail district, which is composed around Bond Street, Oxford Street and Regent Street is one of the most successful in the world, with an annual turnover of over £8.8bn. This is expected to grow by about 27 percent to around £11.3bn by 2020. According to Savills’, London is considered a useful stepping stone for European brands before expanding into the US, while also providing a European base for US brands. Brexit is one factor which caused the growth in London’s appeal, as the city welcomed a high tourist footfall thanks to the slump in sterling. In addition, Chinese tourists helped boost the city’s reputation too; the country’s nationals are the biggest spenders on luxury goods globally and buy around 40 percent of luxury items abroad. Luxury goods is a market that is only set to grow for the UK. In 2014, the UK held 5.8 percent of the market share in the luxury goods retail market. 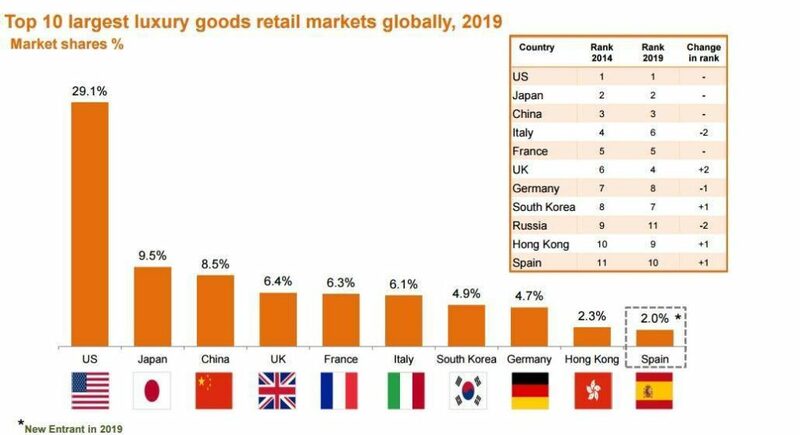 However, according to a recent report by GlobalData, the UK will become the fourth largest market in 2019, overtaking France and Italy. This is down to economic recovery and a rise in tourist spending in mature markets. Worldwide, the global retail sales of luxury goods is expected to hit $433.9bn worldwide. This is slightly lower than previous predicted, due to economic turmoil in countries such as China and Russia which will slow the growth of luxury goods nationally and globally.